One hears the argument that certain animals are “show offs” or love the attention or love to act, or that kindness and positive re-enforcement is used and that the trainers love their animals. Beauty Without Cruelty began actions against animal circuses in the Cape in 2009, with a successful demonstration in Durbanville. We have discussed the issue in the papers, on radio, approached the venues over the years and held demonstrations and leafleted, raising the subject one on one with the public. In one instance, when over 1000 leaflets were handed out to people in a morning, only 2 people were in favour of the circus. BWC was complimented and commended by many who gladly took the leaflets, and many others spontaneously commented that they never supported animal circuses. 2013 alone has seen well over over 12 000 leaflets distributed in two months and several BWC demonstrations in both CT and in Jhb. Due to an expose on Carte Blanche in April, the public outcry has resulted in others also standing up and organising demonstrations. Given the choice, no animal would choose to live an unnatural life of captivity, regardless of the kindness of the treatment and no animal would choose a life that allows none of their natural behaviour. Certainly animals would not choose to be taken from their families to be obliged to amuse us. Circus animals spend months travelling in small, bare cages. The stress of continued confinement as well as the transportation result in long term suffering and a lack of appropriate social interaction, reduction in time spent foraging and the restricted freedom to perform natural behaviours represent stressors for captive animals. A natural environments cannot be recreated in a circuses due to the traveling, with inadequate acommodation and exercise areas and forced movement, handling by humans,, noise along with the confinement results in both short-term as well as long-term behavioural and psychological effects. As an organization that has been involved in the rescue, rehabilitation and lifetime care of a number of rescued circus big cats, it is our opinion that a circus cannot offer an animal like a lion or tiger even the most basic environmental conditions to allow any form of natural behavior. Even though captive bred, circus big cats still require the space and habitat to engage in limited natural behavior. A circus trailer and small exercise cage do not and cannot meet even these most basic needs, there is no space for these animals to even build up to a full speed run, climb or claw at a tree or even get away from each other! Added to this is the additional stress of being housed in unnatural social groupings in close proximity to other species of big cats. Lions and tigers should not co-habit in the same space and it would be completely unethical if these to species were allowed to cross breed. The sexes of the big cats housed probably add to stress levels as the males would be in constant competition to be dominant and mate (unless of course the females have been surgically sterilized). 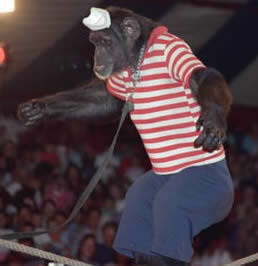 Circus animals have to perform under unnatural conditions in cramped spaces in a noisy environment. Anyone with a dog will know the effects fireworks have on their pets once a year at Guy Fawkes, circus animals are exposed to amplified music and sound effects every show! There is much debate about circus training methods and claims that only ‘positive reinforcement’ is used. It stands to reason however that a degree of dominance is involved in training an apex predator who would under normal circumstance not hesitate to attack a human in confined quarters, one has to question how this type of dominance is achieved over a 250 kilogram predator? The reality is that any fixed based exhibit (e.g.. a zoo) would not be allowed to keep animals like lions and tigers in such confined quarters, yet for some reason the law allows circuses to do so. Smiling chimpanzees in adverts are not smiling, it is a fear grin. That is how they express fear. It has been well documented that Chimpanzees only perform under duress, hence the ‘surprising’ sudden attacks by these ‘tame and loving animals’ who turn on trainers or actors. Lions and other wild animals do not belong in circuses. Elephants, particularly, suffer terribly from emotional distress and joint and feet pain from spending hours and hours chained and left standing on hard ground instead of traveling many kilometres every day in the wild. Large cats spend most of their lives in cages that would never be considered acceptable in a zoo. These animals can provide no educational value despite the arguments to the contrary; what can you possibly learn from an animal in a cage or a circus ring? With documentaries and the plethora of visual information available today a child can learn far more than by seeing a sad replica of what should be a magnificent proud animal in their own habitat. We can say with certainty that we agree and know that slavery was wrong, even though it is maintained that some of these slaves were genuinely cared for by their ‘owners’ and were kindly treated. There were generations of people who knew no other life. Did that however mean it was acceptable? Animals are forced into entertainment industries by being trapped, torn from their mothers or born into entertainment slavery. 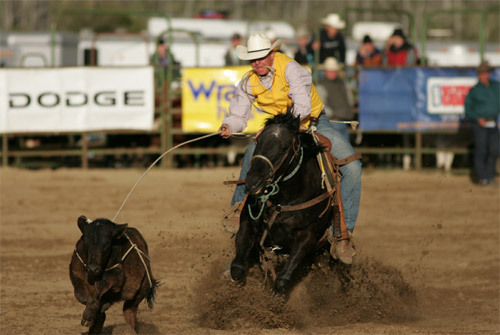 This includes television advertisements, magazine shoots, films, circuses or canned hunting; there is, for some at least, ‘entertainment’ value to be had in hunting, as there is in rodeos, tag fishing, bullfights and other entertainments that involve the inclusion of animals. Horse and dog racing does not benefit horses and dogs; if people wish to gamble, let them indulge their need in human or car races instead. There are those sensitive to the use of the words animal slavery, as they feel that that Man has been reduced, in this example, to that of animals. Far from it. 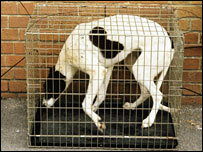 The similarity lies in the forced use and abuse of those who had and still have, no voice, regardless of their form. The acceptance of violence, abuse and enslavement toward some means the acceptance of violence, abuse and enslavement toward all. And surely if one has been at the receiving end of abuse one would be in the forefront of those fighting this, regardless of the victims? For us to continue to use animals to entertain us when we know they have very complex lives, emotional needs and social behaviours, especially when we have so many technologies and non animal amusements to keep us occupied is our shame. Croatia: Nationwide ban on the use of wild animals in circuses. Czech Republic: Nationwide ban on the use of certain species in circuses. Denmark: Nationwide ban on the use of certain species in circuses. Estonia: Nationwide ban on the use of wild-born animals in circuses. Finland: Nationwide ban on the use of certain species in circuses. Hungary: Nationwide ban on the use of wild caught animals in circuses, the purchase and training of elephants and primates for circus performances and the purchase, training and use of CITES (Appendix 1) listed species in circuses. Poland: Nationwide ban on the use of wild-born animals in circuses. Portugal: Nationwide ban restricting the use of great apes in circuses and the acquisition and breeding of CITES listed species. Spain: Local bans on the use of wild animals in circuses in several towns including Barcelona. Sweden: Nationwide ban on the use of certain species in circuses. UK: Over 200 local authorities have bans on animal circuses (more than two thirds of these ban all performing animals, the remainder ban just wild animals). A Government commitment to ban the use of wild animals in circuses – this is yet to be enacted. USA: 49 partial or full bans on circus animals in municipalities in the US, in 22 states. Canada: Local bans on the use of animals in circuses in 28 municipal jurisdictions. Argentina: Local bans on the use of wild animals in circuses in over 20 cities including a ban in the city of Buenos Aires. Bolivia: Nationwide ban on the use of wild and domestic animals in circuses. Brazil: Local bans on the use of wild and domestic animals in circuses in the districts of Rio de Janeiro, São Paulo, Pernambuco, Paraiba, Rio Grande do Sul, Espiritu Santo, Mato Grosso do Sul, Alagoas and a number of bans in cities within another four Brazilian states. 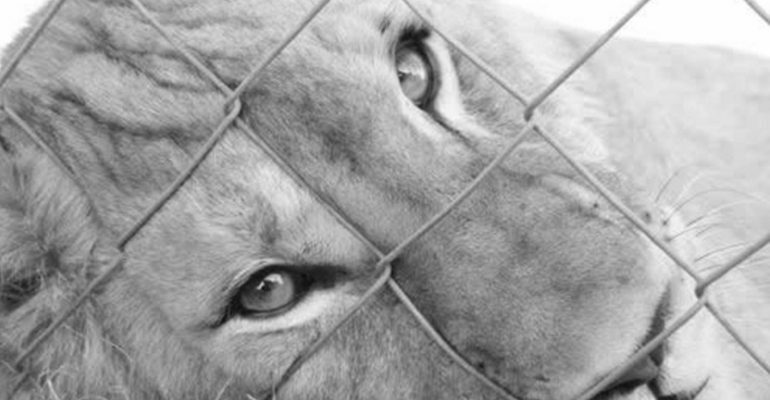 Chile: Local bans on the use of wild and domestic animals in circuses in the city of Santiago. Colombia: Nationwide ban on the use of wild animals in circuses; Local ban on the use of animals in circuses in the capital, Bogota. Peru: Nationwide ban on the use of wild animals in circuses as well as a local ban on all animals in Magdalena del Mar. Australia: Local bans on the use of animals in circuses in several towns including Hobsons Bay, Surf Coast Shire, Parramata and Lismore. India: Nationwide ban on the use of certain species in circuses. Israel: Nationwide ban on the use of wild animals in circuses. Singapore: Nationwide ban on the use of wild animals in circuses. Taiwan: Nationwide prohibition on the import or export of protected wildlife for circuses. Don’t support circuses that have any animal acts. Tell them why. Sign valid petitions NOTE Long lists of names on an e-mail is a waste of time and energy. Only those that want a verifiable street and e-mail address will be valid. In an age of outstanding computer generated imaging, there is no excuse for continuing to allow humans to profit from the unhappiness, misery, suffering and abuse of animals for our entertainment. CGI or computer generated imaging has already given us such incredible realism in films like Legend of the Guardians, the tale of Owls, for example, and most recently, Life of Pi. Although a tiger was used to get the initial movement required for CGI this drastically reduces the human / tiger interaction and will surely be stored for re-use. Les Productions Cirque Éos inc.
NOT ALL CIRCUSES ADVERTISE ANIMAL FREE, so there are more! Due to public demand and their decision, they stopped touring with wild animals in their circus almost 16 years ago. We specialize in people skills and have had great success with our new age circus where we have taken the sawdust ring and transformed it into a waterway with our show called the Pirate Experience. “Circus taken up a notch or two”. Boswell Wilkie Circus has no connection with any other circus travelling South Africa at present.